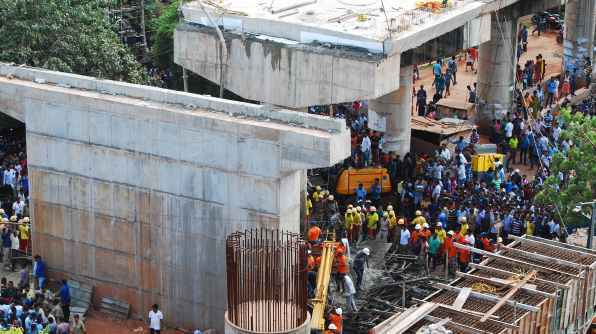 — Bomikhal flyover collapse: Khurda district and sessions court grants bail to Project manager Bipul Chakravarty and assistant engineer Kishore Rout. — J&K: 6 jawans injured in ceasefire violation in Poonch’s Krishna Ghati sector, airlifted to Hospital. — Mahesh Kumar Gupta appointed as new member Engineering Railway Board and ex officio Secretary to the Government of India. — Delhi CM Arvind Kejriwal’s Blue Wagon R stolen near Secretariat; FIR registered. — Chennai’s RK Nagar by-election to be conducted before December 31. — Tata Teleservices to merge with Bharti Airtel Ltd.
— J&K: Terrorists looted Rs 5,39,000 in cash from J&K Bank branch in Marhama Sangam in Anantnag. — US withdraws from UNESCO protesting anti-Israel bias.